Salgado is a Brazilian social documentary photographer and photojournalist who was the inspiration for The Salt of the Earth film. The documentary portrayed his findings through the continents: international conflicts, starvation and exodus. Now he is focusing on the wild fauna and flora as part of a huge photographic project which is a tribute to the planet's beauty. 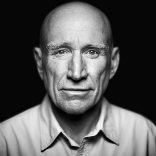 Most of his photographic projects have appeared in numerous press publications and books. Touring exhibitions of this work have been presented throughout the world. Salgado is a UNICEF Goodwill Ambassador. He was awarded the W. Eugene Smith Memorial Fund Grant in 1982, Foreign Honorary Membership of the American Academy of Arts and Sciences in 1992 and the Royal Photographic Society's Centenary Medal and Honorary Fellowship (HonFRPS) in 1993. Head of Division for Agriculture and Natural Resources Management in LAC at KfW, the German Development Bank. He is a development specialist with background in natural science and economics, extensive international experience, 10 years in project financing and development banking in environmental sectors. Mackensen currently is Chairman of the Board of the Caribbean Biodiversity Fund as well as the eco.business Fund, a structured investment fund operating in LAC. Senior Environmental Specialist, Environment and Natural Resources Global Practice for the World Bank. Biologist with a PhD in Ecology from the University of Harvard. She is an expert in environment and sustainable development, with over 20 year experience in natural resources management, rural development and climate change in Latin America and Africa. She has also been nominated as the Global Leader for Biodiversity. He is the Manager of Programs at the GEF where he is responsible for programming of resources. Dr. Gascon is an expert in biodiversity conservation with special focus on the Amazon. He has developed and implemented institutional conservation strategies. 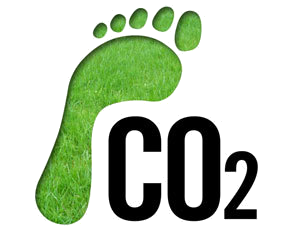 Dr. Gascon holds a doctorate in Ecology from the Florida State University. His research has resulted in over 70 publications and 3 books. Became the Secretary General of Funbio in January 2010. Previously, she led the Andes-Amazon Initiative of the Gordon & Betty Moore Foundation between 2006 and 2009, in the United States, and worked at WWF-Brazil for 10 years, occupying the position of Director of Conservation from 2003 to 2006. 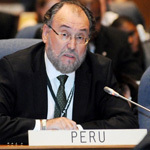 He currently is the Secretary of Biodiversity and Forests. De Oliveira is an architect with a Master in Environmental Planning from the University of California - Berkeley, a PhD in Environmental Structures with a distinction from the Faculty of Architecture and Urbanism at the University of São Paulo.  He is the main responsible for the creation of more than a hundred national and international protected areas. De Oliveira has been a teacher for more than 40 years. Master and PhD in Law and Social Relations from PUC / SP. Professor of Environmental Law at PUC / SP, Bechara also teaches Environmental Law and Consumer Law at the Law School of Sorocaba. Lawyer and partner of Szazi Bechara Storto Advogados. 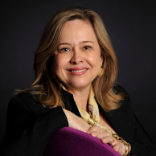 She is currently the Director for Smart Infrastructure in Latin America. Barros has more than 20 years of experience working with the sustainable development agenda in Brazil. Prior to joining The Nature Conservancy, she lived in the Amazon Rainforest for over a decade working on environmentally-friendly development projects. Brazilian film director, producer and screenwriter. His best known film is City of God, released in 2002 in Brazil and in 2003 in the U.S., which received international critical acclaim. He was nominated for an Academy Award for Best Director. Meirelles is currently working on two series about climate change and the challenges faced by the humankind. Photographer for NatGeo for over two decades, he specializes in wildlife, and particularly, big cats. He’s been named BBC Wildlife Photographer of the Year and BBC Wildlife Photojournalist of the Year. He was a two-time winner of Picture of the Year International’s Global Vision Award and won 1st prize in the nature story category from World Press Photo in 2008 and 2014. Brazilian journalist, partner and director at Trip, a leading communication agency in Brazil. Specialists in brand content and experiential marketing. He is in charge of digital and printed publications. Besides magazines, they have a TV channel. He creates and consumes narratives much before they were called storytelling. Hara worked as a journalist in Brazil and Paris before joining communication agencies where he developed branded content for corporations. He is currently the communication and marketing director at Funbio. 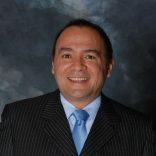 He founded CPI, and served as Executive Director from CPI’s start in 2009 until 2016. Before founding CPI, Heller was a professor at Stanford University for thirty years, serving as the Shelton Professor of International Legal Studies, Senior Fellow at the Stanford Freeman Spogli Institute for International Studies, and Senior Fellow at the Woods Institute for the Environment. Head of the Amazon Fund department at the BNDES. The Amazon Fund provides financial support to combat deforestation, and the BNDES is responsible for raising and investing funds, following and monitoring the projects receiving support, rendering accounts and communicating results obtained. She has worked for the BNDES for more than 10 years, and before leading the Amazon Fund, she was engaged in financing projects in various segments, such as Waste Management, Sanitation, Urban Infrastructure and Social Inclusion. Coordinator at CLUA in Brazil that supports land use policies and practices to mitigate climate change, benefit people, and protect the environment. Prior to CLUA, Lerda founded PADMA, an environmental consulting company specializing in business and biodiversity. For the past 20 years, Lerda has supported companies from a variety of sectors and assisted NGOs, private foundations, and governments, to design, implement, and measure conservation programs in over 15 countries. 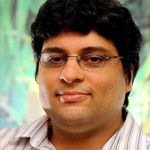 He has a masters degree in Latin American studies and a PhD in Ecology from the University of Florida in Gainsville. Padua is the dean of the Superior School of Conservation and Sustainability and IPE’s vicepresident. He is also a senior associate researcher at Columbia University and was listed a “planet heroe” by Time magazine in 2002. It has nearly a decade working on environmental issues. Prior to serving as director of procurement and communication at FMCN, she was the global policy and advocacy officer at BirdLife International in Cambridge, England where she led the work of business partners on issues of multilateral environmental conventions such as the Ramsar Convention and the Convention on Biological Diversity. He has created and implemented social and sustainable projects such as the Social Ciranda Viva, which has benefited about 1000 families. 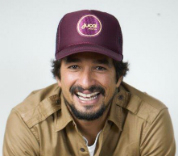 In 2013, he founded with partners Ciano Alimentos Sustentáveis, the company behind Juçaí and Projeto Amável, which promotes conservation and reforestation with the Juçara palm treen, a species from the Atlantic Forest. The initiative creates jobs and generates income for local communities in a sustainable way. RedLAC President and Executive Director of Natura Foundation. She has a 20-year career of which 7 are at an international level and 11 at a management level as Executive Director of NGOs. She is a Law and Political Science graduate with a Master in Environmental Management. She specialized in protected areas planning and management of NGOs. Lead Environmental and Social Safeguards Specialist and Lead Biodiversity Specialist in the Operational Policy and Country Services Unit of the World Bank. 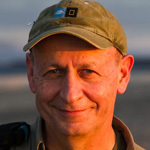 Kiss has a PhD in Ecology from the University of Michigan and for over 30 years has led biodiversity conservation, Integrated Pest Management, and other environmental projects. Yoko Watanabe manages the Global Environment Facility (GEF)'s operation in Asia region. 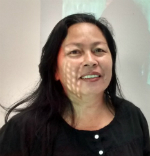 In her position, she coordinates the GEF portfolio in Asia, including biodiversity, climate change, sustainable land and forest management, international waters, and chemical and wastes issues. She is a Senior Biodiversity Specialist and a Focal Point on Indigenous Peoples issues. Wapichana Coordinator of the Department of Land Management and Environment. She is part of the Advisory Council of the Ecological Station of Maracá and also of Mount Roraima Park’s Advisory Council. Do Vale is a representative member of the Amazon in the Indigenous Committee of Climate Change, which is part of the Technical Chamber of the National Policy for Environmental and Territorial Management of Indigenous Lands. 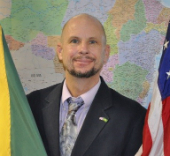 Executive Director for the Tropical Forestry Conservation Act Secretariat housed within USAID. Lampman’s formal education includes: an MBA from Virginia Tech. University, an M.S. in Forestry from North Carolina State University, and BS(s) in Biology, Spanish and Latin American Studies from the University of Colorado. He has worked in environmental impact assessments, environmental & social safeguards, conservation finance and sustainable development programming. Director to USAID/Brazil. Before arriving in Brasília, he served as Director of Governance and Vulnerable Populations (GVP) to the Regional Development Mission for Asia (RDMA) where he provided strategic vision, leadership and technical guidance to diverse, multi-sector project portfolio including governance, rule of law, humanitarian assistance, sustainable livelihoods and cultural preservation programs in Thailand, Burma, Laos, and China. Environmental analyst since 2005 at the Ministry of the Environment of Brazil, graduated in Political Sciences from the University of Brasília (UnB). 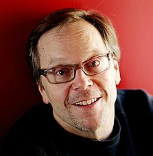 He specialized in global governance at the German Development Institute and in environmental management at the UnB. He has worked as general external financing manager at the Mnistry of Planning and he was also senior counselor of Brazil at the Interamerican Development Bank. He is currently ecossystems conservation manager at the Ministry of the Environment. Founder and director of the Instituto Internacional de Educação Brasil – IEB, one of the most prestigious NGOs dedicated to capacity building in Brazil. Before IEB, she has worked in the private sector and in institutions such as the Fulbright Commission and SUNY-Brazil Advanced Developing Country Training Program. Date: November 2, 2016. Time: 7:30a.m. – 9:00a.m. Dates: November 5-6, 2016. Time: 8:30a.m. – 5:30p.m. Sustainable investing is a rapidly evolving sector with a variety of approaches that may help investors to integrate environmental, social and governance (ESG) considerations into their investment strategies. 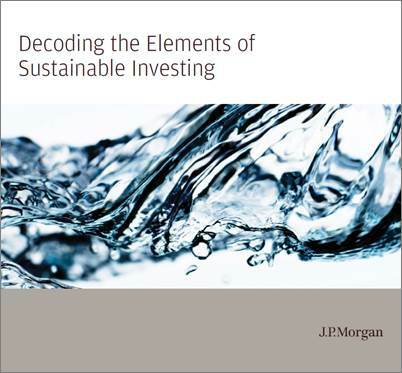 J.P. Morgan is pleased to share with you the various sustainable investing methods, and a discussion that can help you as you consider your sustainability objectives and risk/return expectations for your Conservation Trust. We will distribute our latest published research and applications on the topic. In this special course offered to RedLAC and CAFÉ members, we will focus on communicating the conservation and sustainability initiatives of the individuals representing the member organizations. 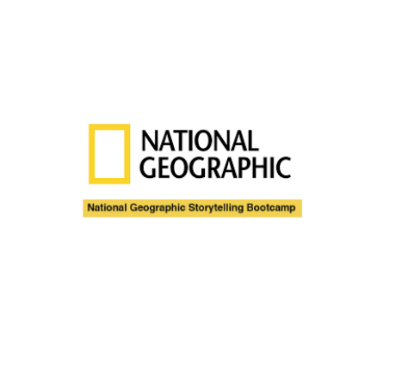 National Geographic believes that more effective and visual communication about projects will better serve to influence decisions and change behavior of a larger audience. This class will arm the attendees with tools to effectively communicate their work through words, photos and social media. We accepted voluntary donations in cash (R$) to help reduce the carbon footprint for the Xingu Seed Network, a project that brings together local communities and seeds of native species in the southern Amazon and the Cerrado.